Hey Guys!!! Snappy coming to you today with a brand new guide on a really solid deck. It’s one of the best decks in the game if played well and needs a lot of skills, especially on ladder if your cards are underleveled. 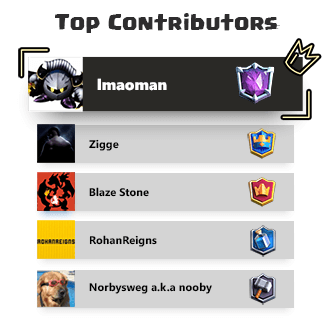 I reached 4,580 cups early this season with a lvl 5 X-bow, lvl 12 commons and lvl 9 rares. I’m also the highest trophy player with a lvl 5 X-bow on the ladder, beating the second highest by 102 trophies!! It’s really hard since most of the opponents are higher levelled than u, which is why playing this deck on ladder will definitely improve your gameplay. I play for a clan called Nova EG Hydra (which is a CWA x Nova Alliance Clan). It’s always been prevalent in the meta but now has exploded into it. Last season, 4 out of 10 players used the same X-Bow deck. It is really good against Hog Rider, P.E.K.K.A since you can out cycle them easily. You can otherwise just draw the game if you aren’t feeling comfortable. On ladder, you usually matchup against people who run off-meta decks (off-meta decks are those decks where you can’t figure out the deck by just seeing the first few cards your opponent plays). So in some cases you might get caught off guard. Where the Ice Golem doesn’t help at all. Knight also helps against those pesky Elite Barbarians, Royal Giants, Bridge Spam and other decks. Knight is also good since it’s a common card, that means you can level him up for ladder much faster than his alternative, the Ice Golem. Ice Golem is the other option for the tank, Ice Golem helps against more aggro decks because of the freezing effect. It slows down troops, can be combined with zap to take out Horde, counters Graveyard, etc. It also can kite troops to the opposite lane. This card is your number one defensive support, helps against a lot of matchups. It is what saves you against Night Witch decks, Lava Hound decks and do some extent bait decks. This card still provides a lot of value of 1 elixir despite the nerf, it’s a really good card concept wise. Pretty sure if it was 1 elixir and just freeze, it would still be used. Helps against some games where you need to distract a troop or freeze it (like an inferno dragon over your xbow). The freeze mechanic also resets troops, in case you didn’t know. This card is pretty sweet too, for 1 elixir it provides a lot of value. It can counter Musketeers, Miners, Mini P.E.K.K.A, Elite Barbs (yes, you heard it right). It also cycles well and can act as a distraction unit while your Tesla or Archers snipe the troops. Still one of the most busted defensive buildings in the game. It one shots Minions, counters P.E.K.K.A along with Skeletons, counters Giant, Bridge Spam, and much more. Since it doesn’t stay “up”, your opponent can’t get spell value out of it, though be warned it can’t be placed like other buildings. It requires special placements when placed reactively and when placed passively because of it’s “activation box”. The Log is used over Zap, but you can switch them up. Log is used so that you can kill Goblins from that Goblin Barrel, or push back troops while getting that sweet chip damage on the tower. Zap can be used if your Zap can kill Goblins from the barrel. Then you can use Zap to kill Goblins and Minions with the help of Ice Golem. Usually your game ender, you wanna get the opponents tower down to spell cycle range. But in some games you can’t. 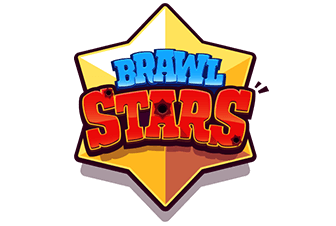 Since Fireball deals significant damage, you can always Fireball a 4 or more elixir troop so that it dies once it reaches your side of the arena (if unsupported). Fireball is what takes out Minion Hordes, 3 Musketeers, Elixir Collectors if your xbow is out of cycle, Lava Pups + Balloon etc. When you play on the ladder, you don’t want to play X-bow early unless they pump up first. Your really do not want to play X-bow if they start out with a Golem or Giant at the back, since it could be Giant/Golem Double Prince. U really don’t want to overcommit on defense or offense, cuz even a slight mistake and you could easily lose the game. You want to count opponents elixir all the time and know the cards in their hand. Never play X-Bow till you know what your opponent is playing. Only play X-Bow at the beginning if they pump up first. While approaching the 2 minute mark, you don’t need to Fireball pumps anymore. you can just push with an X-bow and then defend later. You can win a game where your opponent has 3 Collectors on the ground since you can always cycle back to Fireball quickly, do that only when your opponent’s tower is significantly low. Against beatdown, the main damage you get is from the starting. Against Royal Giant, draw the game. 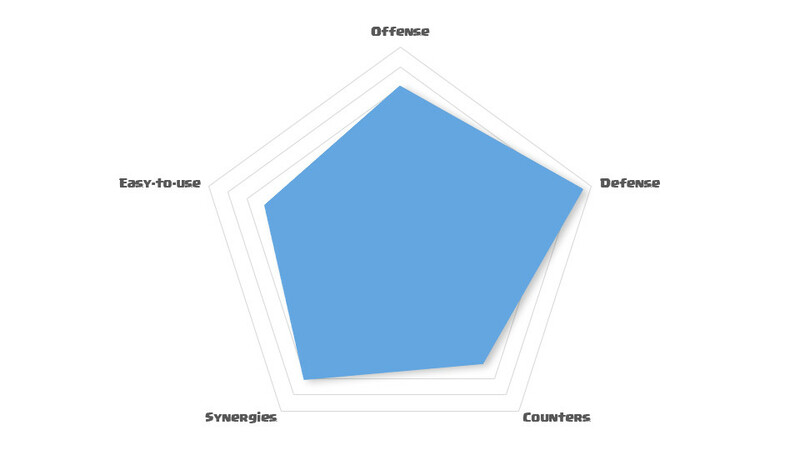 You can afford to spend a little more Elixir on offense or defense since you really can’t get punished because of the level discrepancy. You can play X-Bow in the first 30 seconds if both the players are making passive plays. 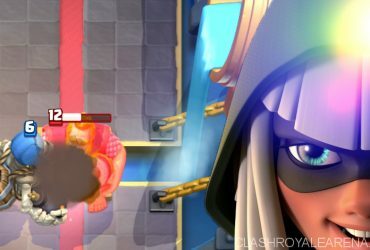 If you feel that your opponent is gonna kill your X-Bow no matter what, then just let it die and focus on defense. This is really tough to do for a new player, knowing when to use X-Bow and when to not. 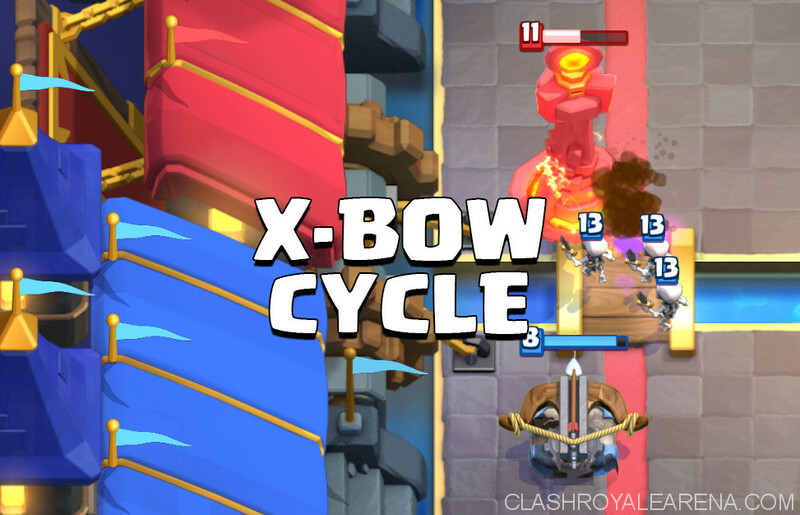 When to defend the X-Bow and when to let it die. Well it usually comes with experience but I will help you with more detailed guides against every single deck archetype. Remember that X-bow is always a 1 tower game, if you lose a tower. Draw it. And if you have to lose a tower let it be on the same one that you are pushing on, because if it’s the other tower then your opponent can drop troops right on your X-Bow. It’s a favored matchup, you usually win this game if your opponent makes a mistake. In single elixir time, keep The Log for Barrel, while in double elixir u can use Skeletons or Archers to counter it while using Log on offense. Keep Ice Spirit in hand for Inferno Tower. It’s not a favored matchup especially Giant, but it’s easy to draw. Never go opposite lane since they will just trade towers and you will be a sad panda. You usually do well against cycle decks. Don’t spend a lot of elixir on defense, take a bit of damage if needed. Play defensive X-Bow and progress into an offensive X-Bow. Use cycle cards to tank opponent’s support troops. Save Tesla at all times. Against E Barbs you can use Knight + Ice Spirit or skeles and ice spirit if u pull it to the center. Play defensive against the bridge spam. Never go opposite lane if they drop Golem behind their king tower, often they would trade towers and go real hard. Try to get most of your damage in single elixir, since in double elixir you may be unable to out cycle them. Don’t Fireball pumps in single elixir unless you have their tower at low HP. Disclaimer: The decks posted might not be the same ones you face, but the concept lies the same, for example: Golem + Night witch + Lumberjack, that is what the core of the deck and is what I will be covering, since support troops can vary, and you need to play around it. This is a tough matchup for u, but you can play around it. In single Elixir always play X-Bow if they pump up, unless you are down in elixir. In that case just Fireball the Pump. The only way that you can get damage in this matchup is to punish them when they Pump up. Let me tell you what could happen if you x-bow when they Pump up and you are down by 2 elixir. But then since your opponent has the Elixir Collector, he gets to 3 elixir before you, and drops the Mega Minion on the Knight. Your Knight dies and then your X-Bow dies. You spent 9 elixir and got minimal damage. While your opponent has a pump down, and has spent 7 elixir on defense while you spend 9. And since the Elixir Collector “produces” Elixir, your opponent now goes to a positive 4 elixir compared to u. However if you did this when you were at the same elixir, this forces your opponent to either play something to kill the X-Bow, which means he goes down on elixir or he takes the damage and losses the tower. You got a tower to around 1000 hp. If you can cycle Archers first, do it immediately, cuz you need to cycle back to them fast. The setup will finish the Golem, but the support troops is the issue. Knight for the Princes, but before they hit your Knight, use Log and Ice spirit, then use Archers or Skeletons on the other side to kill them. Then when you are back to a Tesla, which you can use to kill the Baby Dragon. 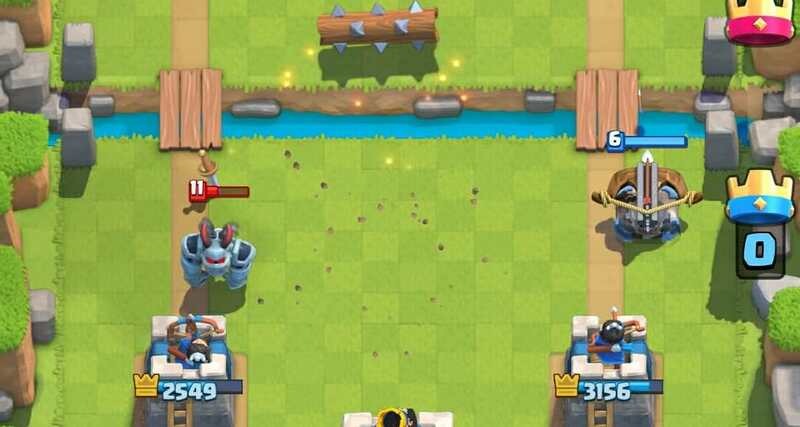 Now that they have run out of steam, you can proceed to chip on the opposite lane with a Log or split Archers at the back. Don’t Fireball unless they it’s in Fireball + Log range. Even then use Fireball last cuz they can bridge spam you with a double prince push. If you are absolutely new to X-bow, I would recommend playing defensive, killing pumps since Golem is pretty tough, it’s the second toughest class of beatdown. This one is even more difficult because of the Bats coming from the Night Witch and the range from the Golem, they also have a Poison so watch out. Single elixir is the same, punish Pumps with X-bow but you can play X-bow even if you are down by one elixir or so. Always keep Log and Ice Spirit because you need them for Guards or Ice spirit for the Bats or just to freeze a Lumberjack before you can use Skeletons. But in double elixir, use defensive X-Bow and Tesla. You want to kill the Lumberjack last so that his rage effect doesn’t annihilate you. Use Skeletons to distract while you use Knight on the Night Witch, then use Archers. Make sure they are on the other side of the arena tower so that you don’t give them much spell value. Once the Night Witch is down, the Lumberjack dies from the residual troops. 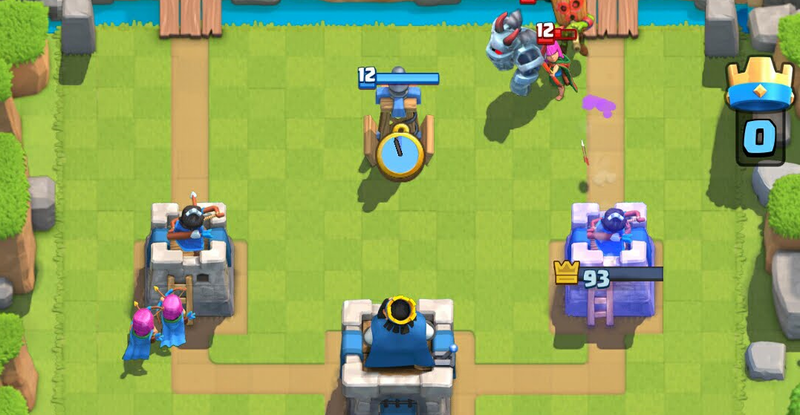 If not, then play Skeletons at high in your side of the map to pull the Lumberjack there since the tower will be shooting at it as the Golem died. This matchup is difficult because if you kill the Lumberjack first then the Bats will kill your troops and wreak your tower. You can also punish them with an offensive X-bow on the opposite lane if they cycled Golem at the back. If they play Golem in the center to take the X-Bow shots then Log it. Because your X-Bow is tilted its range reduces and cuz you log it it pushes the golem out of range. Do that only in overtime when you have the opponents tower considerably low, like 1,500. This game is really hard since they can Rocket your X-Bow, which they will do as they don’t have an Elixir Collector. That is how your card cycle must be if you want to win, which i really don’t recommend unless you are able to beat the above matchups consistently. This matchup is also hard as they can Rocket your defensive X-Bow. Let them do that then set up your Tesla. After that, kill the Night Ưitch and Lumberjack like in the above matchup, for Baby Drag you need to cycle back to Tesla. Fireball on defense if needed. It takes a lot of practices against this particular deck, but you won’t find it frequently since the Double Prince version outclasses this version of Golem. This is a straight up easy game for you. Punish pumps, Fireball Hordes and Log Gangs. In double elixir, defensive X-Bow and Tesla, Fireball the Horde and Log+Knight+Skeletons the 3M. This also a pretty easy game for u.
X-Bow when your opponent doesn’t have Ebarbs in hand as they will spam it down. Kill Ebarbs with Ice Spirit + Skeles and Archers, counter push with X-Bow. Keep spells in hand if needed.